It's Time D-Heads! This week we continue our 8th Annual Month Long Not-So-Scary Halloween Celebration by welcoming non other than RICHARD MASUR (Mr. Boogedy, Bride of Boogedy, John Carpenter's The Thing, Stephen King's IT, License to Drive, Orange is the New Black and more) back to the show! In addition no show is complete without the D-Team and Domenic gives you the tips and tricks for your vacation in The Short Leash. And Erin has his hand in the treats jar and is answering all your spooky questions in I Want To Know while Jeremy gets his feet wet as a NEW D-Team member with This Week in Disney History. And let's not forget Randy with the latest in Disney Multi-Media. We also have some of the D-Team's fondest Halloween Memories to share. There is news fresh off the D-Wire with news about Pirates of the Caribbean, Walt Disney World, Hollywood Studios, Ralph Breaks the Internet, Star Wars, Galaxy's Edge, Disney Channel, Just Roll With It, Disney XD, Disney Halloween Movies Streaming and more! 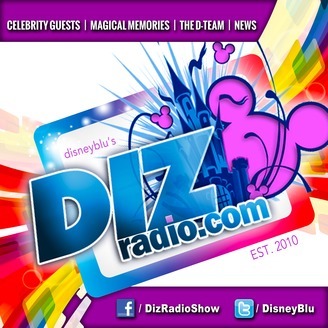 So it's time to Put on Your Ears, Give it a Little Bibbidi Bobbidi Boo, and get ready to Relive the Magic, Memories and Appreciation from Your Lifetime of Disney with DisneyBlu's DizRadio "A Disney Themed Celebrity Guest Show"!